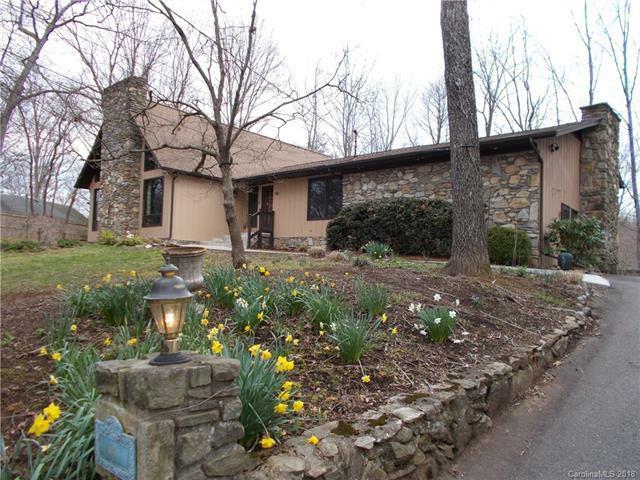 Beautiful well maintained home in Lake Junaluska. Suitable for multi family with spacious in-laws quarters in the basement with the plumbing and electrical to complete a full kitchenette. This home features extensive rock work, newer roof, wood fireplace, tongue and groove cathedral ceilings, paved driveway, ADA toilets on main level, four private decks, and large master bedroom with unique garden tub next to a bright pretty bay window. Property is located a short walk to hiking and biking trails and while accessible to Lake Junaluska Assembly Grounds, it is set apart from daily activities at the lake. Close to hospital and shopping. This property has the potential for two private, separate living quarters. Home also boasts a newer roof and heat pump with zone controlled heating. Offered by Carolina Mountain Property, Inc.. Copyright 2019 Carolina Multiple Listing Services. All rights reserved.